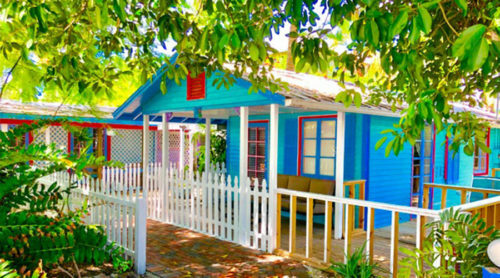 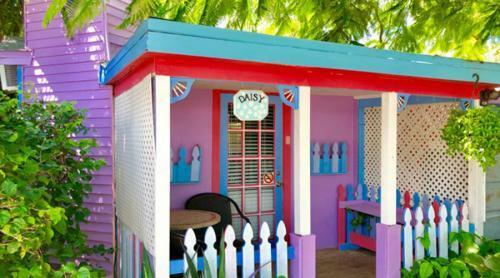 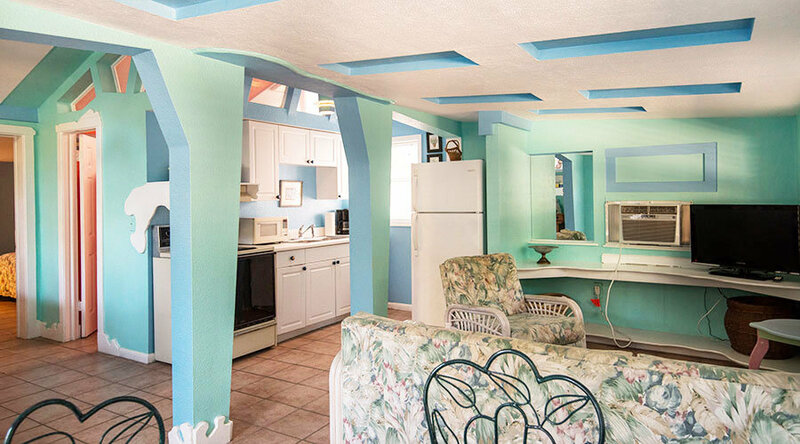 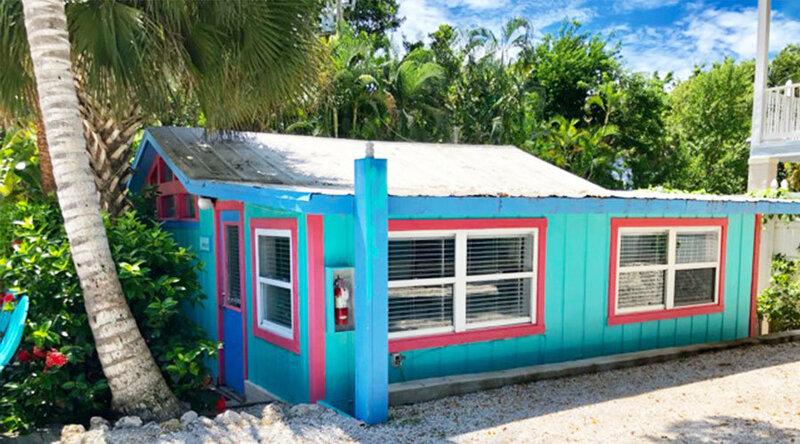 You will enjoy all that this island style cottage has to offer. 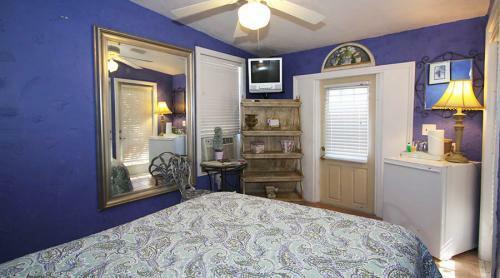 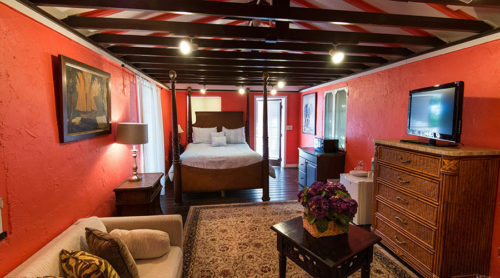 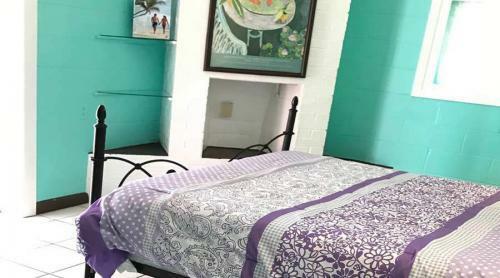 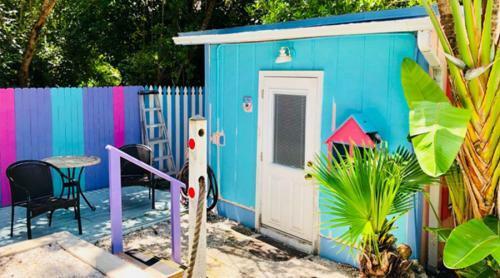 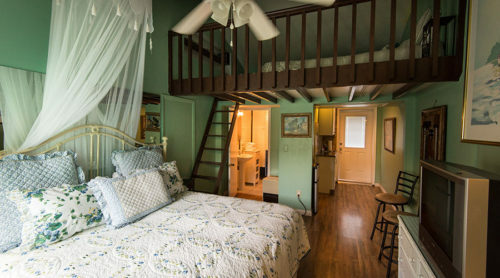 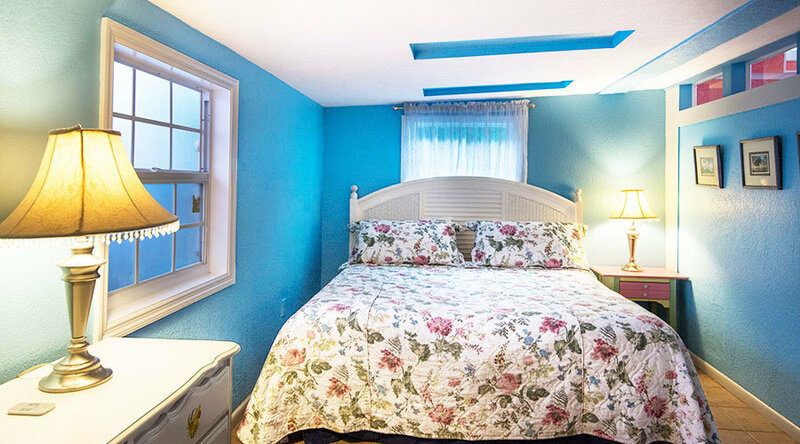 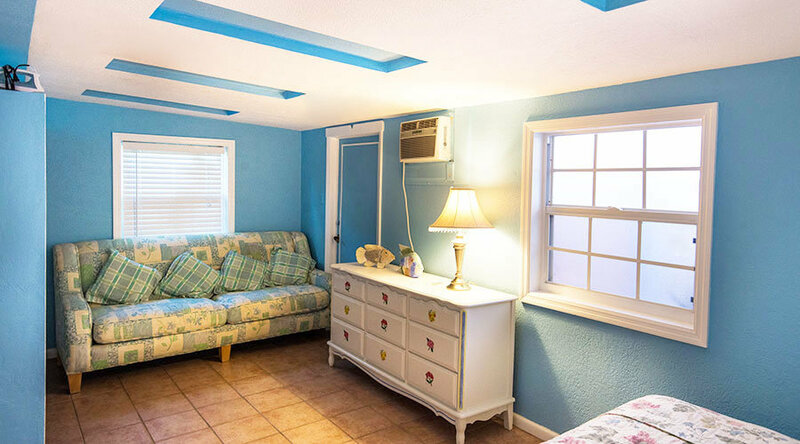 This 1 bedroom, 1 bath cottage will sleep 6 comfortably, between the King bed, Queen Sleeper sofa, and daybed with trundle. 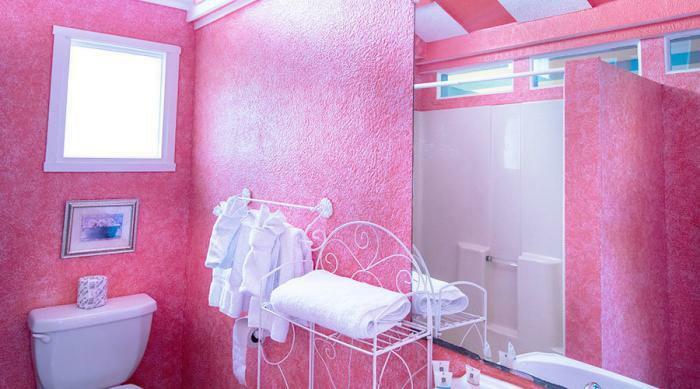 The full bathroom has a shower/tub combo. 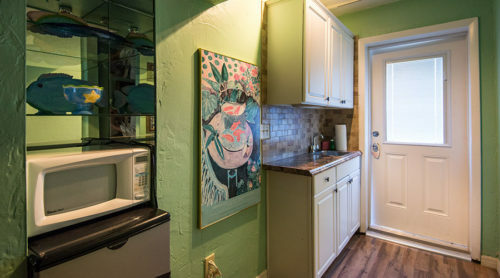 The kitchenette also has a small stove, oven, fridge, and microwave.